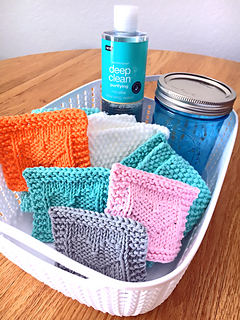 Make your own handmade reusable cotton pads to use with make up remover or micellar water with this cute and easy Heart Face Scrubby free knitting pattern. 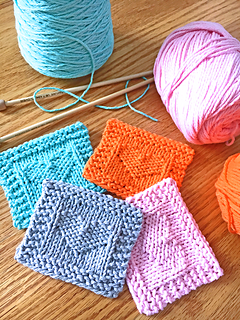 I love to use little handmade cotton squares to use with makeup remover and micellar water. 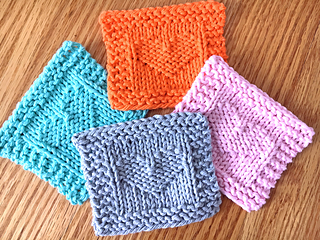 Rather repeatedly throwing away disposable cotton pads, I make my own little face scrubbies with cotton yarn. After I use one, I put it in a Mason Jar, then when my collection is dirty I wash them up. A little OxyClean in the wash really helps to get them clean of makeup residue and then they’re ready to use again. These little heart scrubbies are super quick to make. 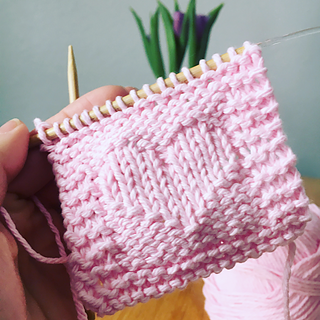 The simple pattern also makes them easy to knit. They don’t use much yarn either, so they’re great for using up leftover scrap yarn. 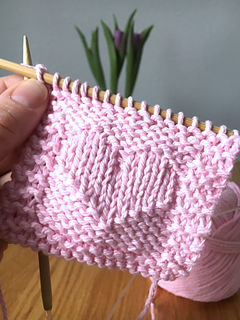 This heart face scrubby pattern is a beginner to easy level knitting pattern and is great for knitters who have an understanding of knits and purls. A knitting chart is included, although with this simple pattern it may be unnecessary. Use it only if you wish.